John represents a broad array of clients, ranging from Fortune 500 companies to smaller closely held businesses, facing diverse environmental issues. 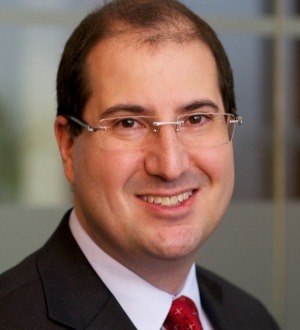 Although John is a partner in the firm’s litigation group, he is also regularly called upon by clients to handle site remediation matters and complex negotiations with government entities and private parties, such as arise in the infrastructure projects in which he has been involved in recent years. John’s work on contaminated sediment sites and related litigation include his election to a small steering committee overseeing litigation for a large group of corporate defendants in a high profile sediment case. John has represented clients in the railroad, telecommunications, chemical, waste, retail, heavy industrial, construction, municipal, financial and other sectors in environmental matters including the defense of natural resource damages claims, contaminated sediment sites, the defense and prosecution of private and government initiated environmental cost recovery claims, citizen suits, the defense of government penalty actions, permit challenges, administrative appeals, site remediation matters, as well as on-scene emergency responses and government inspections. John also received formal mediator and arbitrator training through the International Institute for Conflict Prevention and Resolution (CPR). Since 2013, John has been listed in Chambers USA for environmental law and in The Best Lawyers® in America for environmental litigation. He has also been included in the Pennsylvania Super Lawyers listing for environmental litigation since 2012.